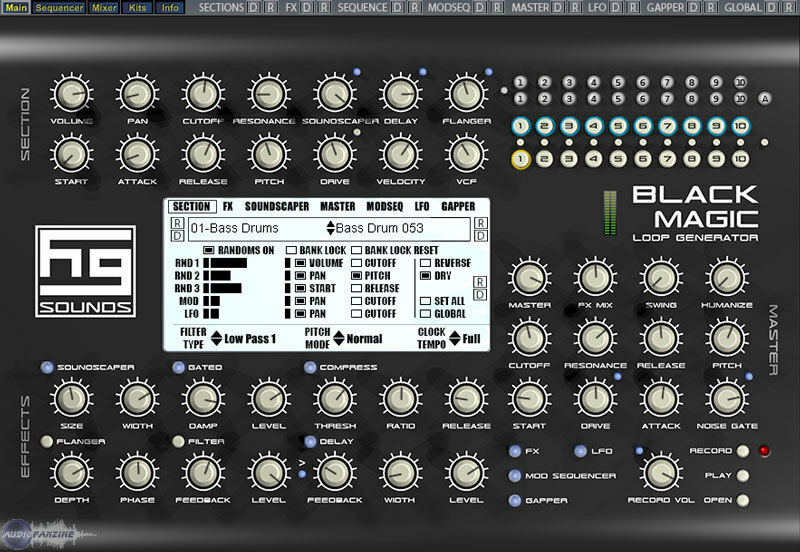 Black Magic, Virtual Loop Tool/Slicer Sampler from Homegrown Sounds. 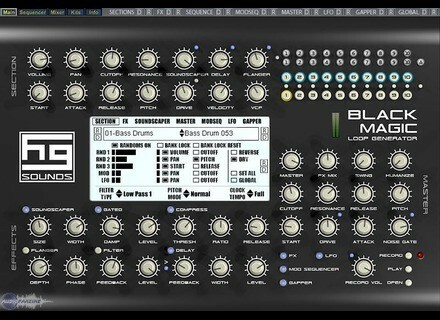 Homegrown Sounds has updated Black Magic to v1.01 to fix a couple of issues and add some requested features, and announced that it has launched a Group Buy for Black Magic. Homegrown Sounds also announced that it has a "loop re-sequencer" plug-in under development, called Introjector, which will be added to the Black Magic pack as a bonus instrument plug-in. The Group Buy will also include some loop collections which can be used with Introjector: everyone will get Organic Breakbeats, and the first 50 will also get Elemental Guitar Loops. These two collections will be available on joining the group buy. Sample Folder Display problem fixed. Record Bit Depth now stored permanently. Added Save and Load Sequence code to allowing exporting entire sequences for later use. The saved files have a *.bms extension. Global Default now makes the clock Normal instead of x2. Import Wav feature added as requested, crude but functional allows browsing for wav and then select which bank to add it to. The Group Buy will run until Sunday 21st June and the price could get as low as £30 (saving £100) if 300 people sign up. HG Fortune X-Wheel of Fortune 6 HG Fortune has announced the release of the latest version of the X-Wheel of Fortune plug-in for Windows. Nugen Audio Stereo Techniques Video Tutorial Nugen Audio has announced the release of a new free 'Stereo Techniques' tutorial video demonstrating methods for widening, enhancing, positioning and defining stereo and mono audio material, using the plugins contained within the Nugen Audio Stereo Pack. Rain Recording Solstice Dragon Edition The Solstice Dragon Edition is a component platform for the industry standard tools you use to create music and sound for games.